A calming high: designed to relax your body. 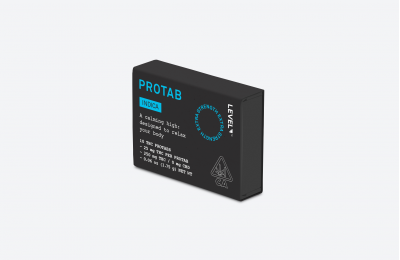 For sale both Adult and Medical **THIS IS NOT AN EDIBLE** The Protab is a cannabis concentrate which puts it in the category with capsules and tinctures. You swallow these with liquid and there is no favoring or sugar added for taste. We are in compliance with CCR Title 17 Div 1 Chapter 13 and all 2018 CA Regulations. All orders will be shipped only with compliant product which can be sold on your menus after July 1st, 2018. If you have any questions just send us a message!